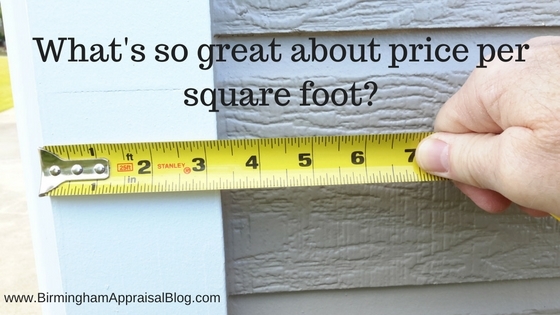 While scanning the news headlines this week I ran across an article titled “What Is the Average Price per Square Foot for a Home — and Why Does It Matter?”Because I am an appraiser this caught my eye for various reasons. 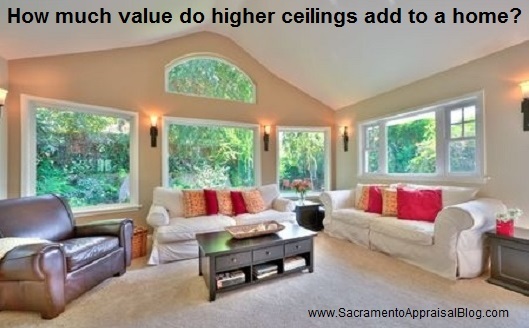 ​Curious about how appraisers reconcile value? After completing a pre listing appraisal assignment recently the homeowner asked me a question. He was interested in how I came up with the value I did given the range that the sales provided. Being able to explain the appraisal process to help inform and educate the public is one skill that they don’t tell you about when taking your basic appraisal courses. Over the years this is a part of my job that I have come to enjoy. It's easy to boost buyers' impression of your home in new, inexpensive ways with each season. Here are a few things you can do in the fall to make it as inviting as a basket of Halloween candy. Shorter days and longer shadows mean you need to be particularly careful to maximize natural light with open drapes and blinds, and add more light where needed with floor and tabletop lamps. Replace any burned-out bulbs in outdoor lights. And schedule showings earlier in the day, when the light is stronger. Adequate lighting makes a bigger difference than you might think. 2. Rake in the leaves (and the buyers). Keep up with your yard work to help hike curb appeal. Clean up the leaves, and trim back any overgrown or dead plants. Cut back trees and hedges that hide or overshadow windows and porches. Store all those pool toys, bikes and croquet sets. A less-cluttered yard appears larger. Leave the grill, though. One that's shiny and clean can help buyers see the possibilities of living out their hamburger-and-steak fantasies. If you have nice patio furniture, arranging it around a fire pit - even just a portable or tabletop one - creates a warm, social atmosphere. They're cheap. They're cheerful. And they're hard to kill. A pot or two of orange or gold chrysanthemums can brighten up your porch, deck and steps. Pumpkins also can add a bright, seasonal touch as well, but be careful not to overdo it. You're decorating a home, not a department store. If your home has a fireplace, now's the time to let it shine. Of course, you probably don't want to light a blaze for showings, just in case the fire's unattended between appointments. But you can make sure it's clean. Tasteful fall décor, like a simple vase of pinecones can add a nice seasonal touch to the mantle or hearth. If your agent will be hosting an open house, a crackling fire with lots of comfy seating can be a great touch. 6. Two words: pumpkin spice. Don't worry, there's no need to actually bake a pie. Before showings, simply burn scented candles with seasonal aromas, like apple, cinnamon and ginger, to add to your home's coziness. If you're looking for more personalized recommendations for selling your home, find a local RE/MAX agent who can help you show your home at its best.